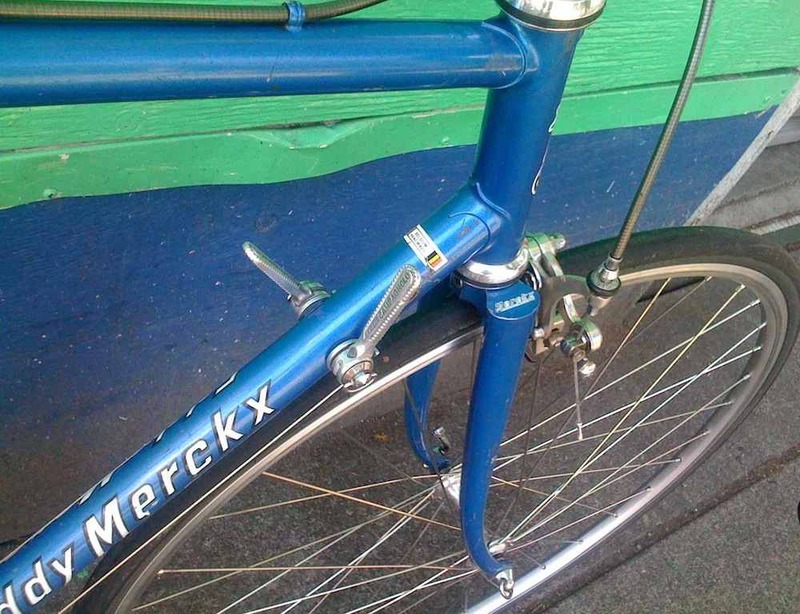 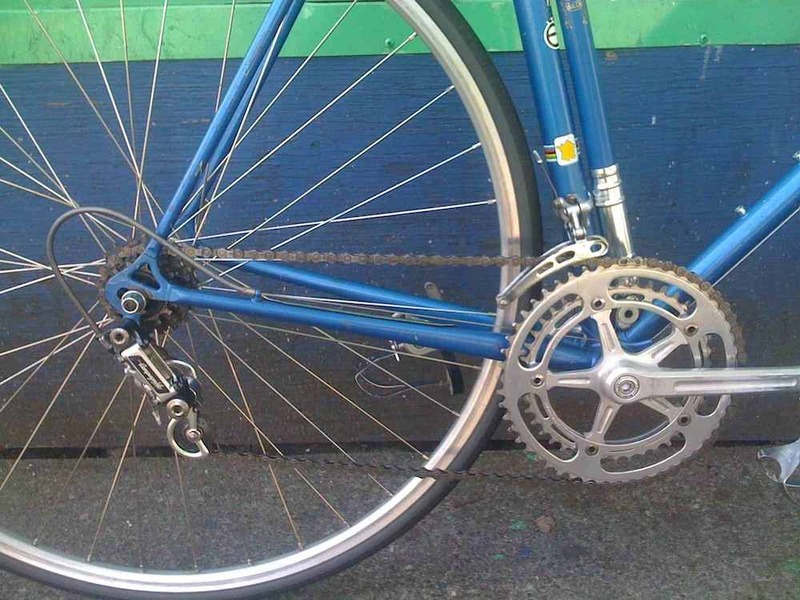 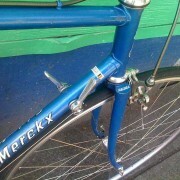 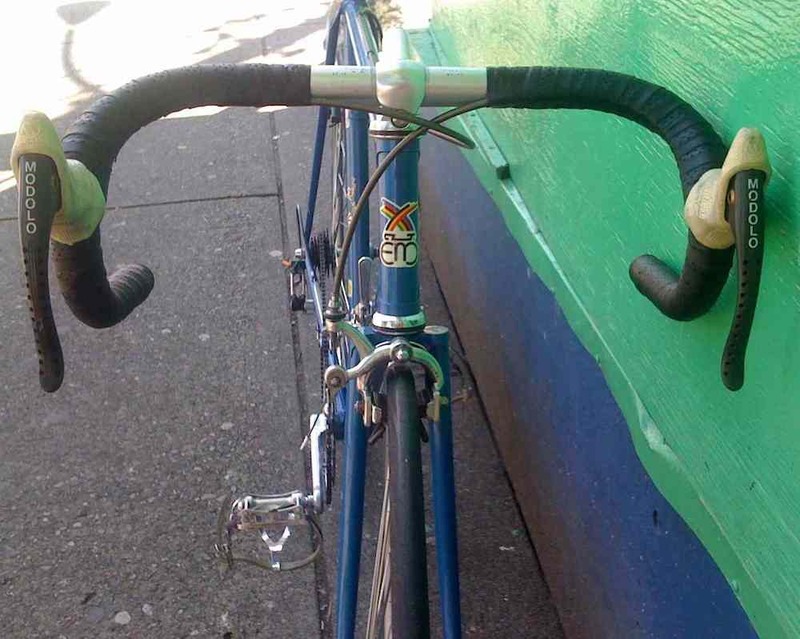 1980′s Eddy Merckx equipped w/ a mixture of Campagnolo Super Record and Nouvo Record components, aero Modolo brake levers, and highlighted with a matching Silca frame pump. 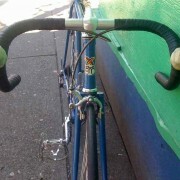 I believed this frame to be approximately a 1982 though I may be wrong. 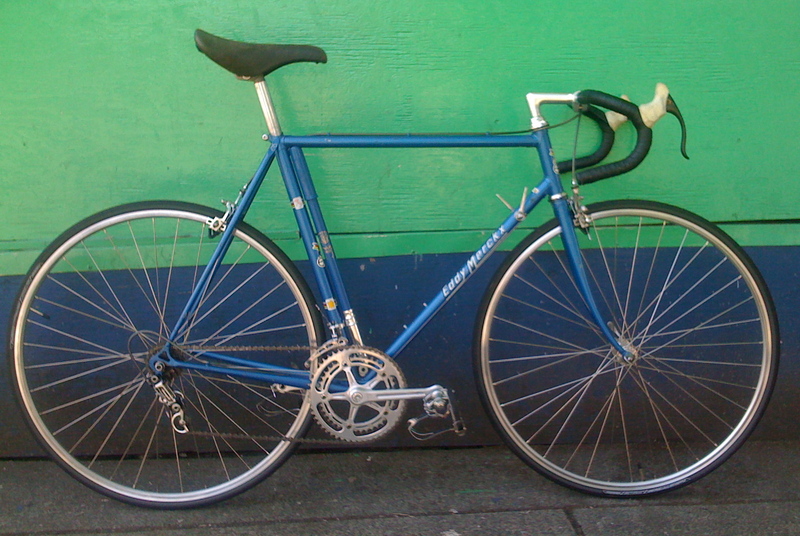 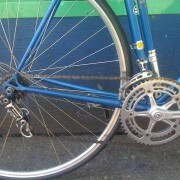 We apologize for the shoddy phone photo’s but they’re all that’s left to remind us of this beauty we sold.